hey everyone im wondering how rare are some options on our cars. i know i have a few options on my car that are good but wondering what the rarest options for our cars. my 73 mach has the following center consol, triple guage package, fold down rear seat, rear spolier, ram air hood, hood lock downs, ps,pb, deluxe int, 351 c H code. i havent got my marti report yet cause im a broke college student but have always wondered if my cars options are anything special or just run of the mill. 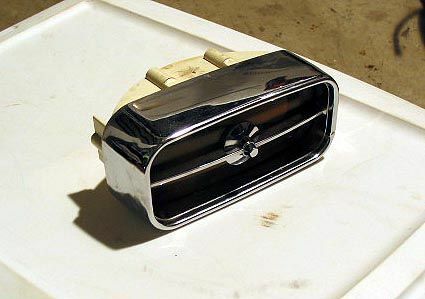 rare stuff would be adjustable intermittent wipers, rear defroster, Cobra jet engine, 1971 is the most desirable. 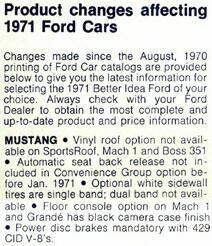 the rarest of 71 would be the 302 Boss mustang of which 1 has been discovered. all boss mustangs in 71 were 351 this one left the factory as a 302. 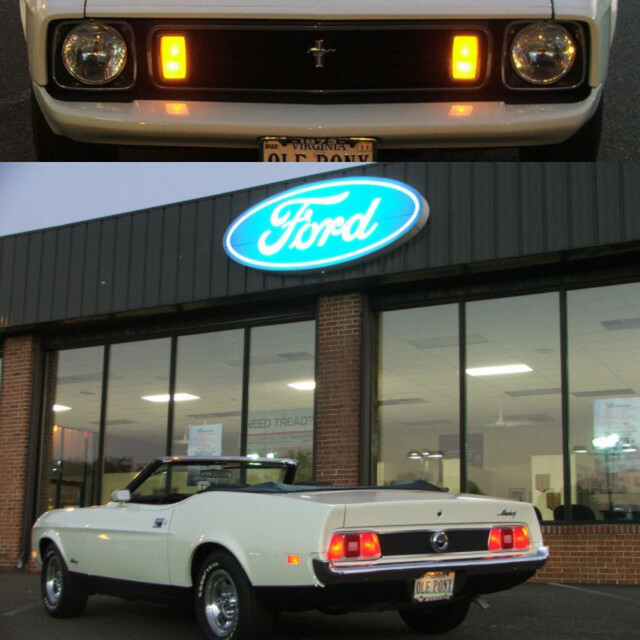 According to my source, only 603 1973 Mustangs had the ram air setup and they were all 351 2V. Keep in mind that we are talking about the actual ram air setup and not just the hood. That, again according to my source, is the rarest option for 1973. How about the front seat back automatic release when a door is opened. When you open a door the front seat latch automatically releases so the seat back can fold forward. I don't have mine hooked up currently since the mechanism drains my battery. that option came with the convenience group, i think convertibles got that not sure about other body styles. there was a option for 71 that listed a locking seat back. 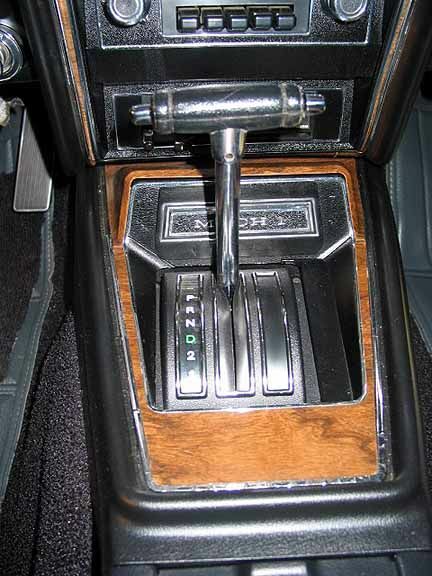 rarest would also be the Wood grain center console. and early 71 cars got Chromed grill sport lights on the mach 1.
my car is a run of the mill 72, 1 of 437.
in 73 due to emissions laws the V4 engine was not allowed to have ram air from the factory. It sounds like the OP wanted to know what rare options would make the car special (ie: more valuable). are high performance related: engine, transmission and styling related. Examples: Boss 351, 429 engine, drag pack, 4-speed stick, ram-air, Mach1 fastback, convert., deluxe interior with all guages, good looking origional color combo. Rare options like auto seat releases, cruise control, vinal roof on a fastback are nice to have but nobody will pay much extra for them. Pink paint with green interior would be ultra-rare, but not valuable. Auto-trans was a nice option for commuting in traffic but an origional 4-speed is so rare and desireable now, it makes any v8 car more valuable. Your options make the car certainly more rare and desireable than a standard coupe or even a standard Mach1 but (like my car) the 351/auto trans combo is pretty common. Although a 351c is much more desireable than a 302 or smaller engine. These cars are becoming more rare and hard to find in good condition every year. So it's probably best to keep it looking origional, especially if you are going to sell someday. These accessories probably would not add much of anything to the value, but would be unique. Ok, so who has the rarest 1 of ?, based on their Marti Report on this forum? 547 T-5's made in 1971, 531 in 1973. 2180 Ram air hoods in 1972, 603 in 1973. 1913 sprint package B's in 1972.